We are the Kennet and Avon Seagull Appreciation Society, otherwise known as Iolo, Toby and Ted. we were reading about the British Seagull engine and discovered that during the 2nd world war the Admiralty required an outboard motor that would require virtually no maintenance, could be sunk and still run when raised back out, and would run non stop for 24 hours. Well, we know many who have tried the first two intentionaly or not, but to our knowledge no one has tried to achieve the last, ie run it non stop for 24 hours. So this is our challenge. 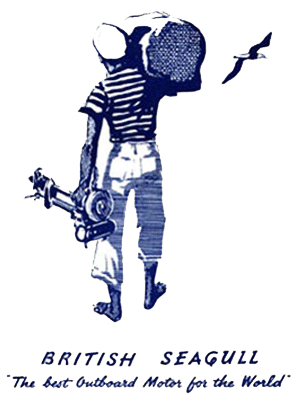 We will be using a 12 foot dinghy with a Silver Century; 102cc, 3hp, clutched, 55 year old British Seagull. though they are reputedly reliable and bomb proof, there are many who disrgard them and think of them as a heap of junk that takes more time to fix than you will ever have them running for. We disagree!! and we are out to prove them wrong, try running any other 50- 60 year old engine non stop under load for 24 hours! Our plan is to start in reading at 12 noon on Friday the 8th of March, traveling the entire 86 miles and 106 locks or the Kennet and Avon Canal, that normally takes a week to cruise. in a nearly impossible 24 hours! are we mad ? Yes i think so. we will be aiming to arrive in Bath at noon on Saturday the 9th. to a huge cheering crowd going wild, throwing money into our collection buckets, and squirting us with champagne. Hurrah!! We aim to raise £6,850 by noon on Saturday the 9th. this is the amount it costs the Wiltshire Air Ambulance Service per day!!! 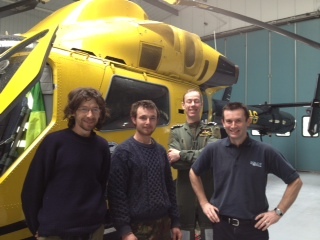 So, with our 24 hours of endurance, we aim to be able to support them for 24 hours. After all they save lives and wouldn’t you be just a bit annoyed if you needed them to airlift you to hospital one day but they didn’t have enough money to keep their helicopter in the air. A gruelling test of man, dog and machine. The British Seagull engine is legendary for being reliable, simple and almost indestructible. The British Admiralty ordered 1,000s in World War II specifying that they should ‘run for 24 hours non-stop’. Well, three intrepid Kennet and Avon Boaters are to test this assertion in their own unique combination of Wacky Races, Three Men in a Boat and Those Magnificent Men in Their Flying Floating Machines. Starting from Reading they will attempt a non-stop cruise of the Canal to Bath in a small dinghy powered by a Seagull engine. And, we assume, a copious supply of two-stroke oil and petrol. 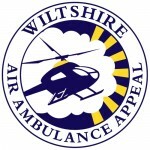 The intention is to raise enough money for 24hours of operation for the Wiltshire Air Ambulance, a charity without central government funding that, since its launch some 21 years ago, has attended literally thousands of incidents, providing an essential emergency medical service throughout the County of Wiltshire. It takes £1,917 to keep the air ambulance flying for 24 hours. You won’t miss them passing – no matter what time of day or night—give them a cheer as they pass—or shout at them for waking you up, they won’t tell the difference over that din. Now, I’m off to search eBay for electric outboards.